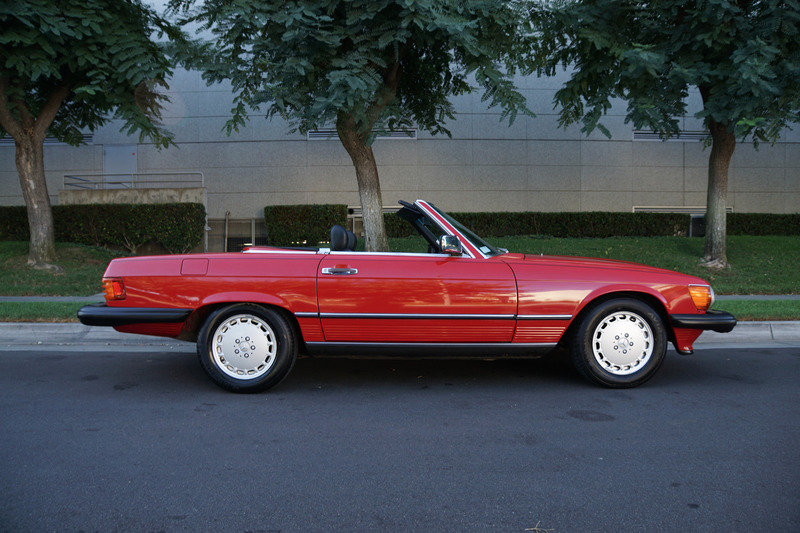 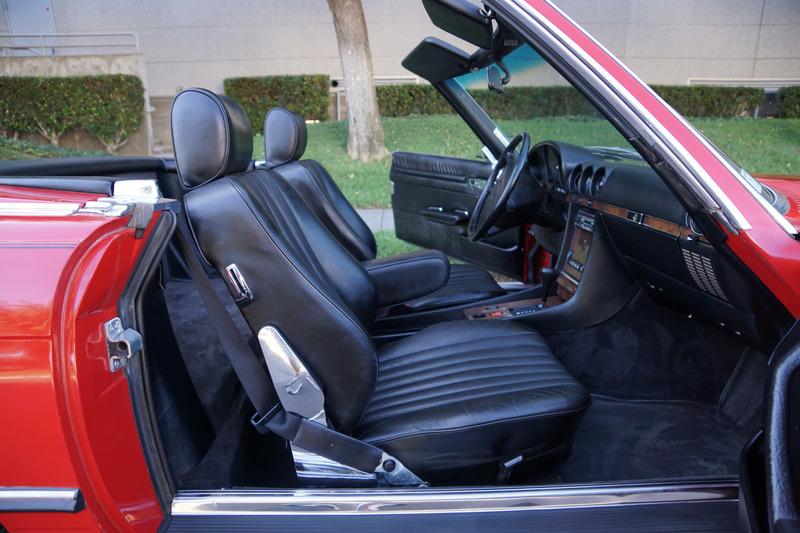 West Coast Classics are proud to present an absolutely exceptional example of this 1989 Mercedes-Benz 560SL roadster in its highly desirable and striking original factory 'Signal Red' (code 568) color paint with a gorgeous all original 'Black' leather interior, a brand new black 'German' factory canvas soft top, factory alloy wheels, matching 'Signal Red' factory hard top, new tires, documented service history, clean Carfax and only 51K original and actual miles! 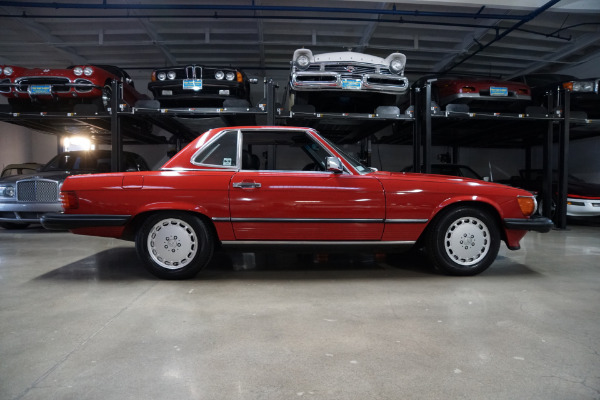 Obviously always garaged with no signs of any accidents with with one repaint in it's original factory 'Signal Red' color paint with an absolutely beautiful condition all original 'Black' leather interior with virtually no signs of any wear and with the original leather dashboard and the walnut wood veneer interior still like new (obviously always garaged from the sun and elements!) 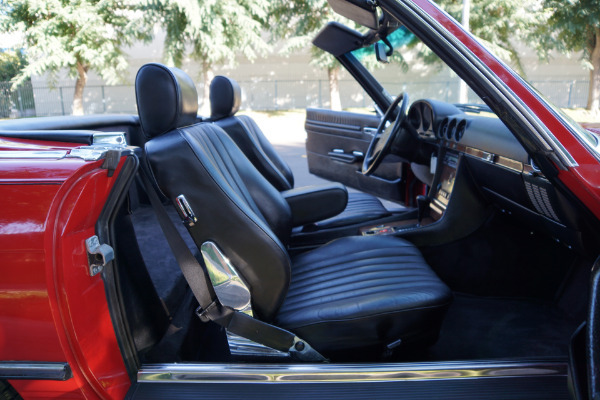 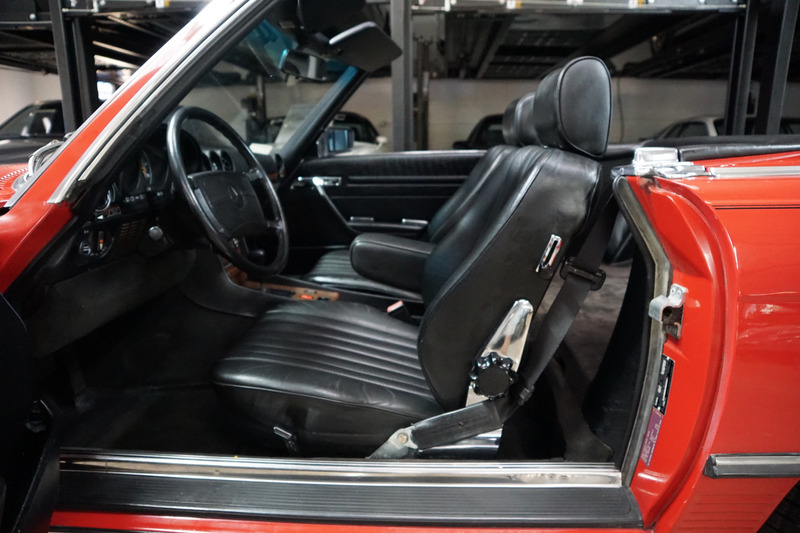 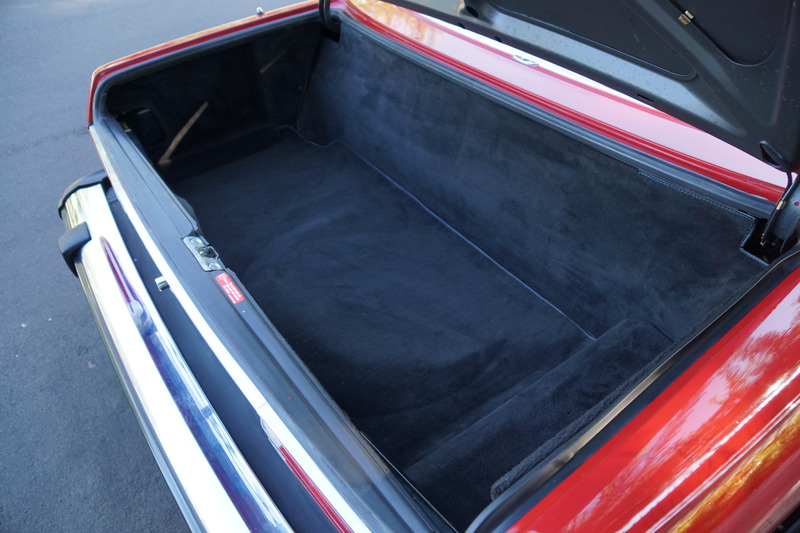 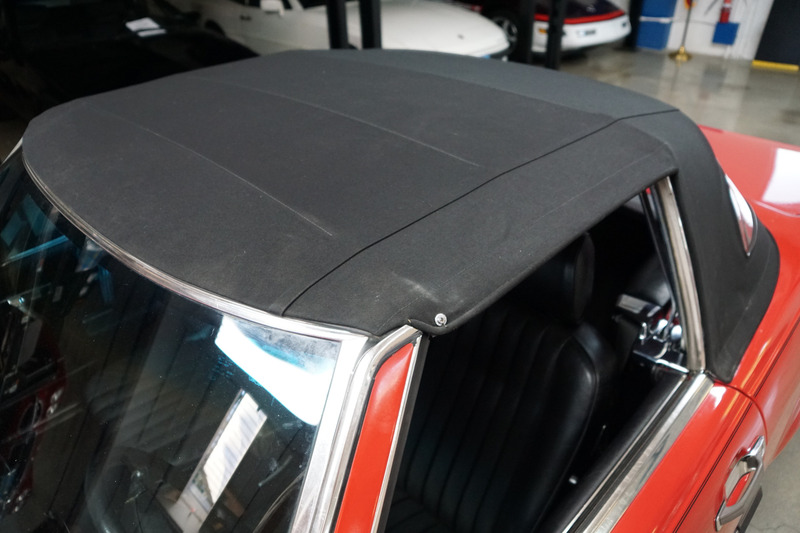 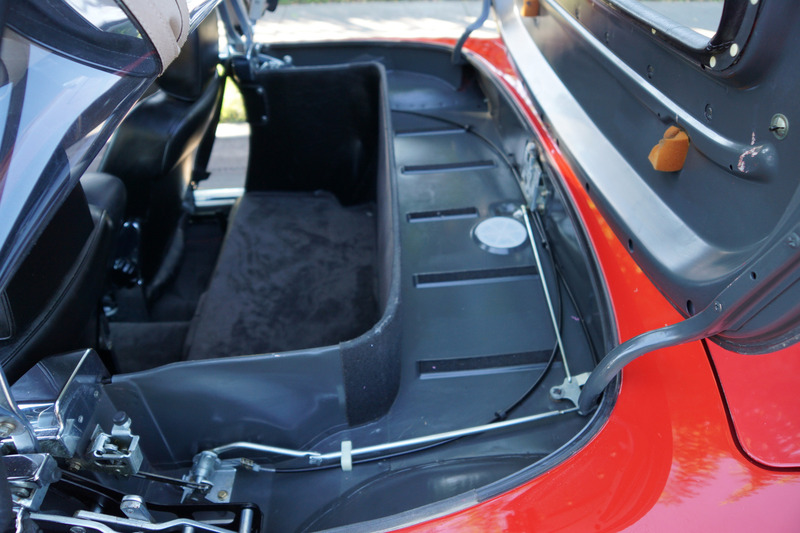 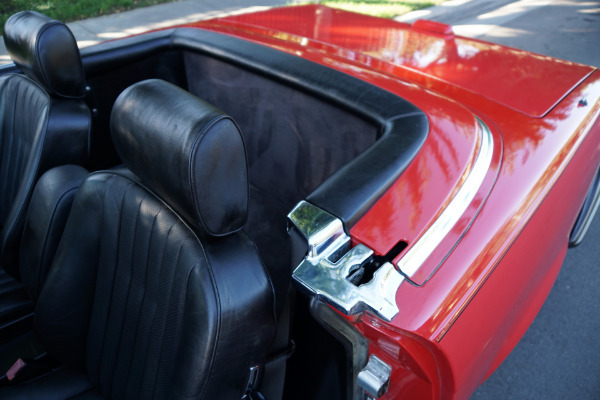 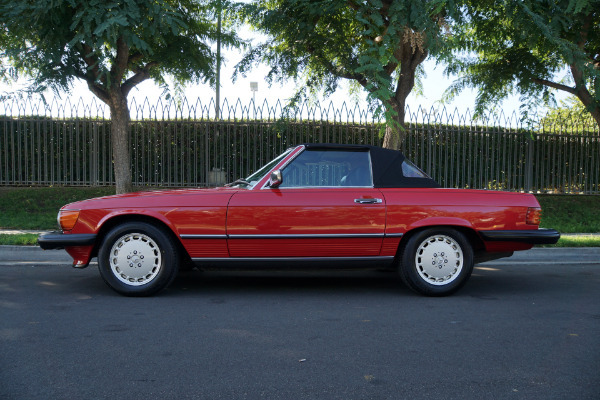 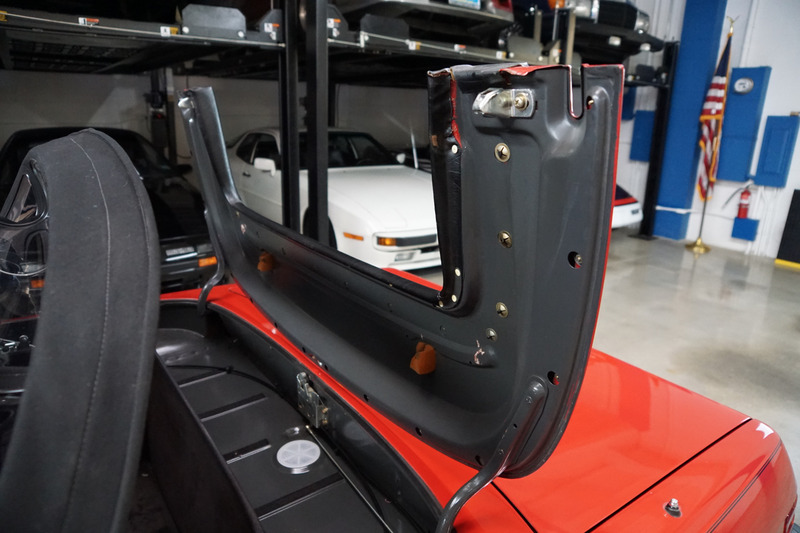 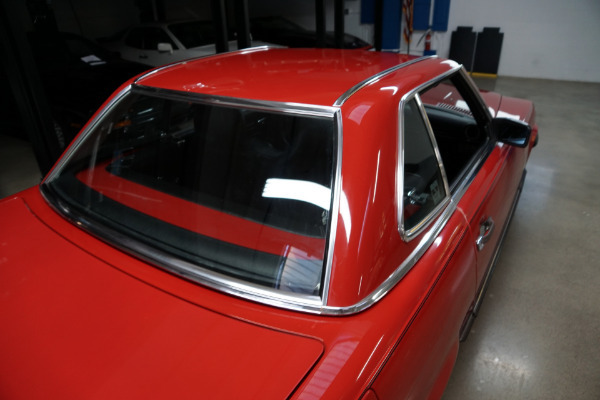 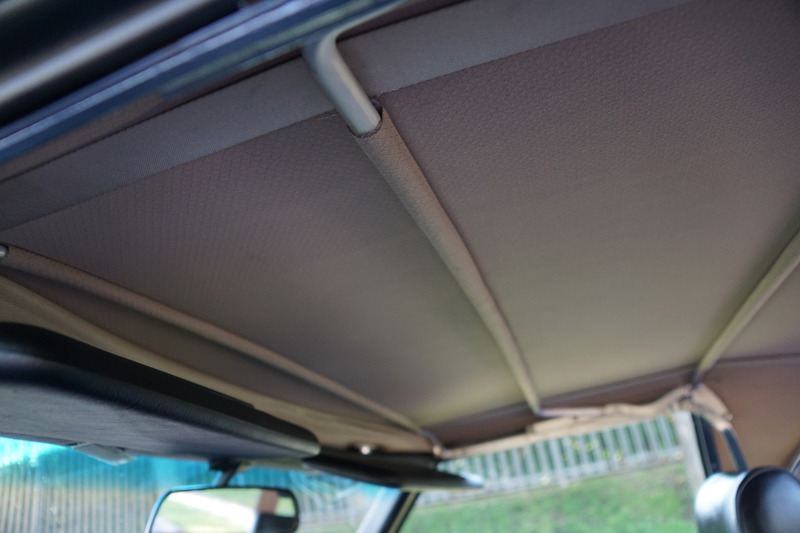 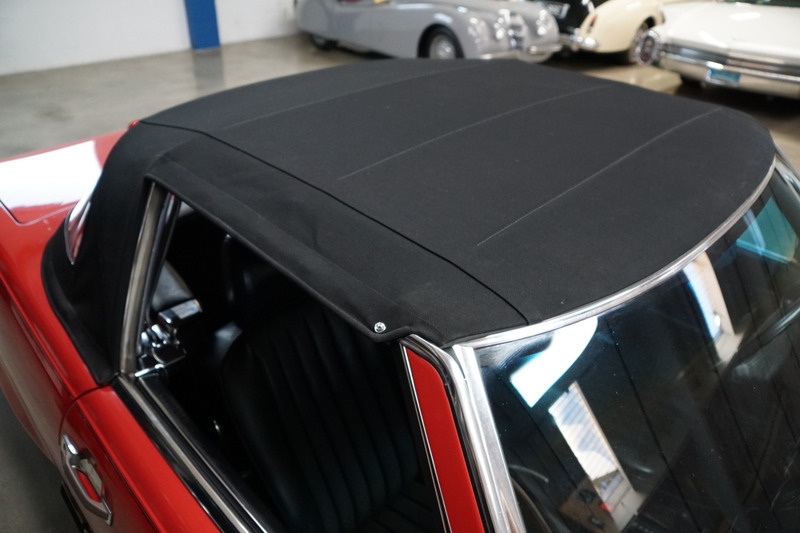 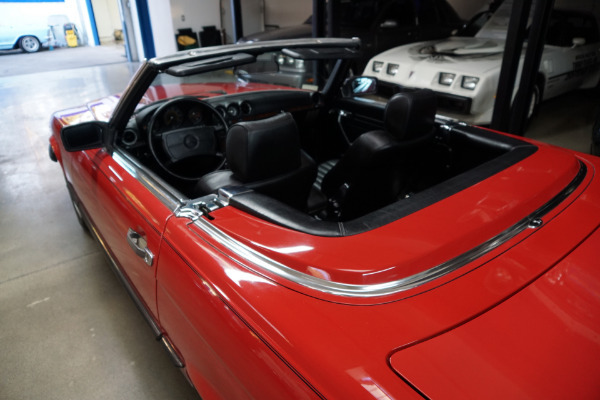 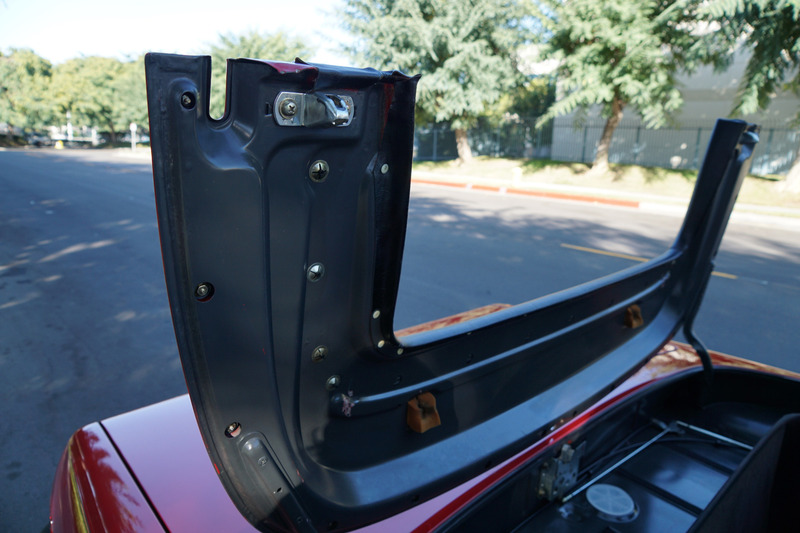 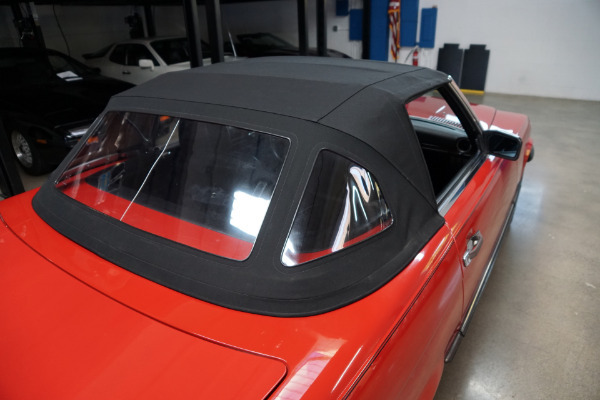 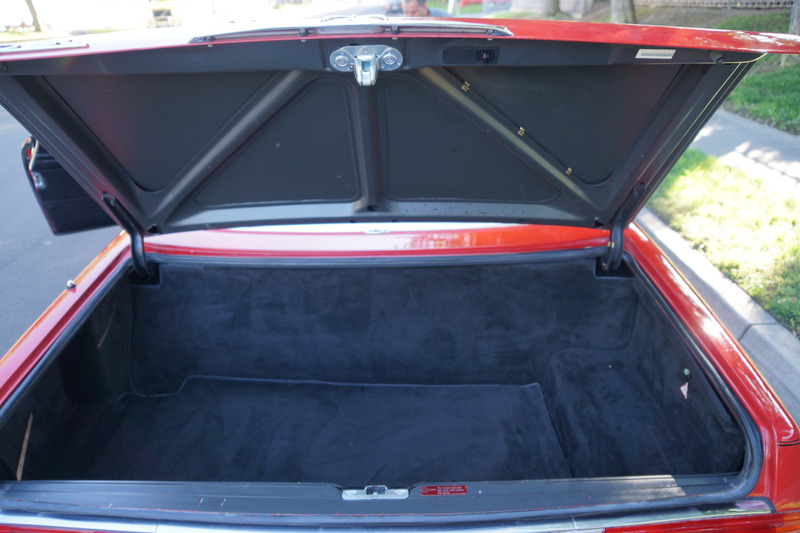 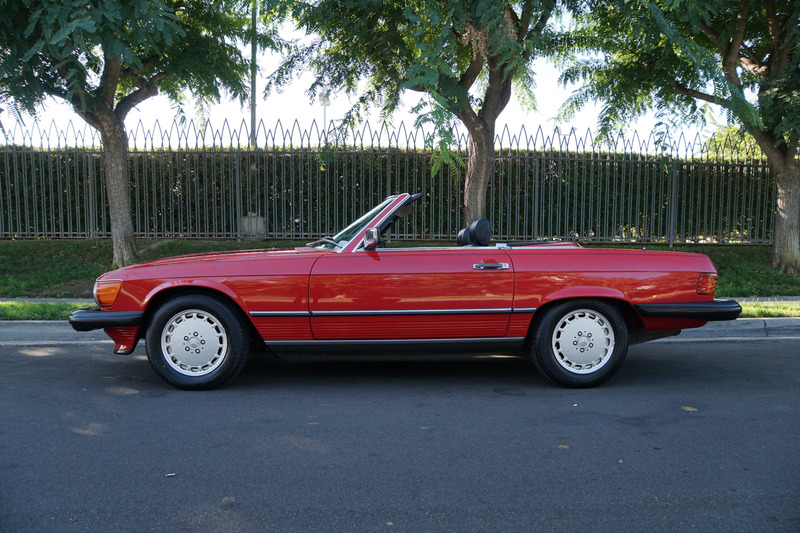 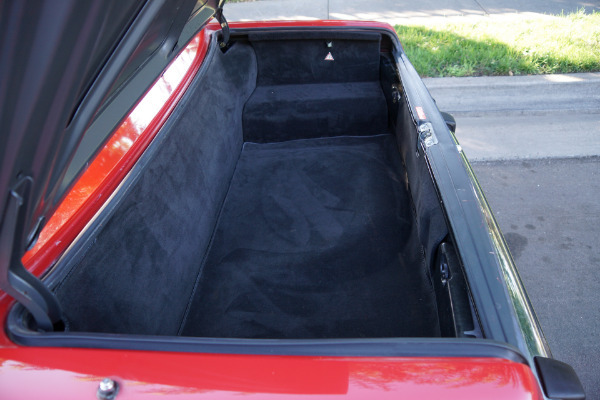 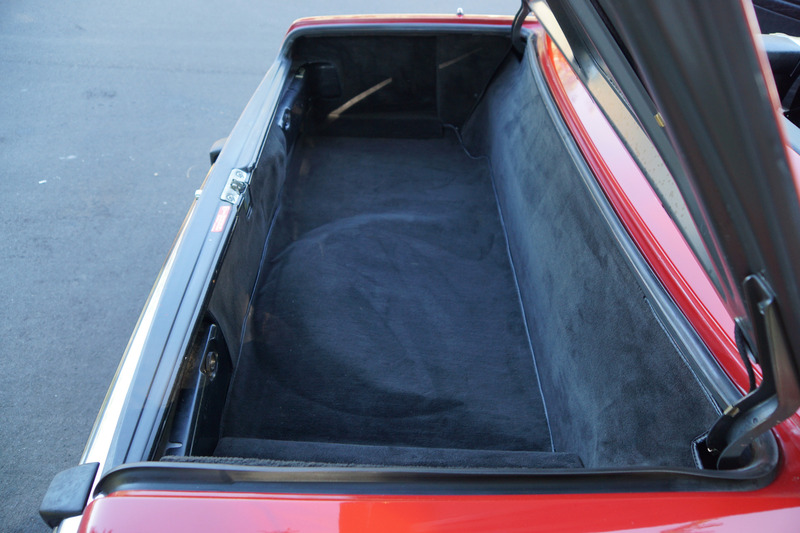 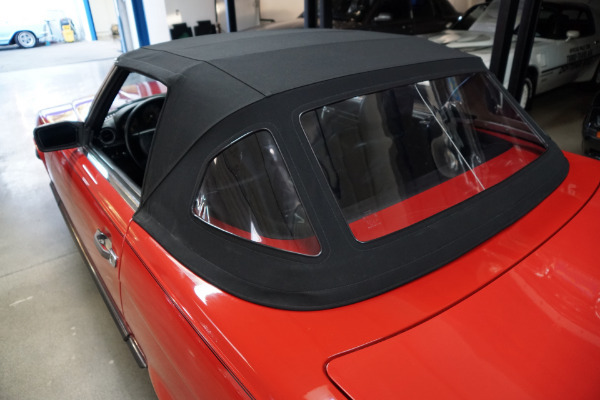 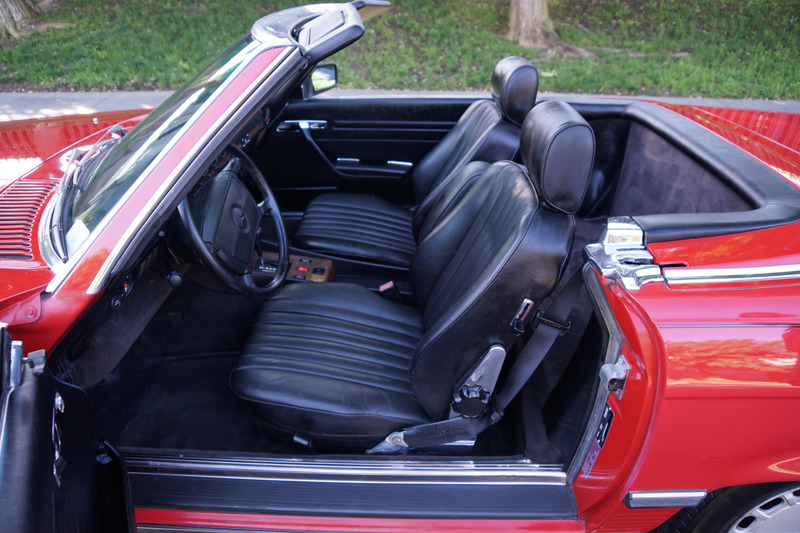 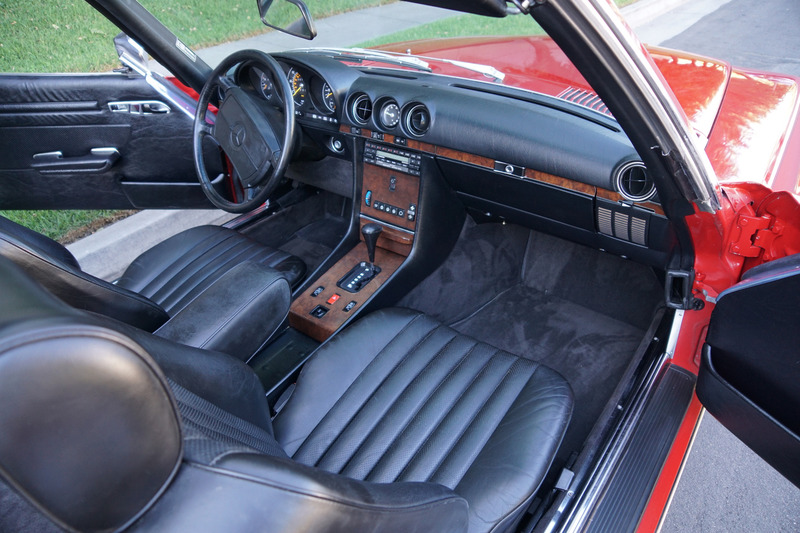 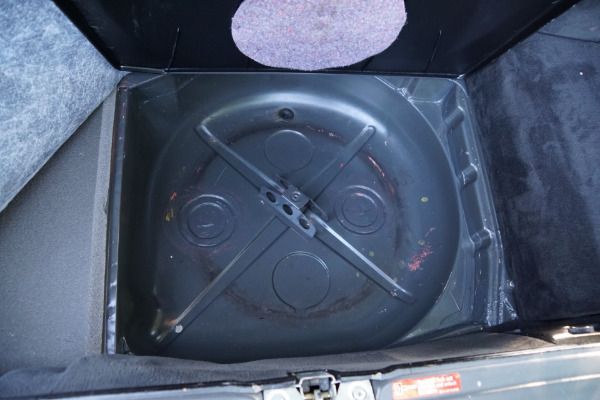 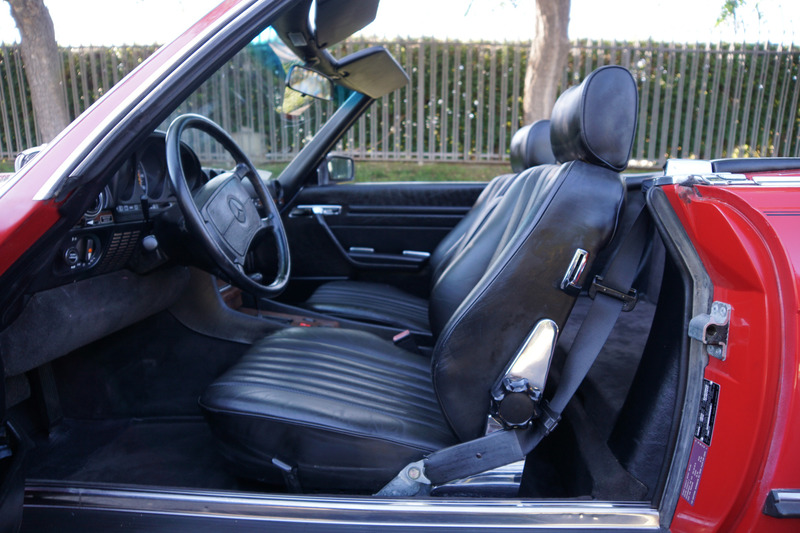 The car has a brand new professionally installed Black 'German canvas' soft top and the car has it's original and also factory matching 'Signal Red' hard top. 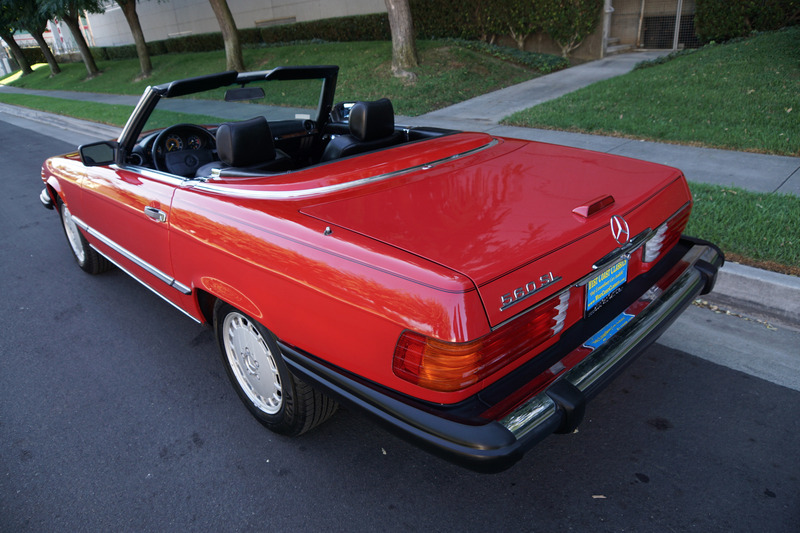 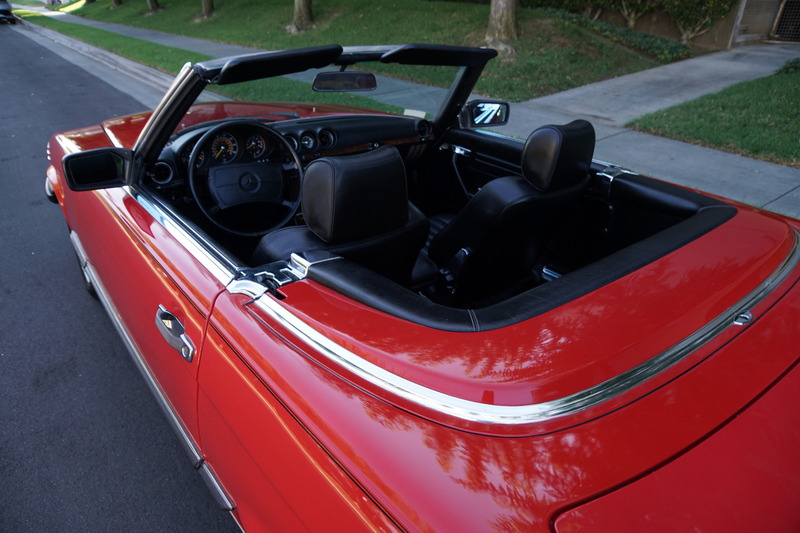 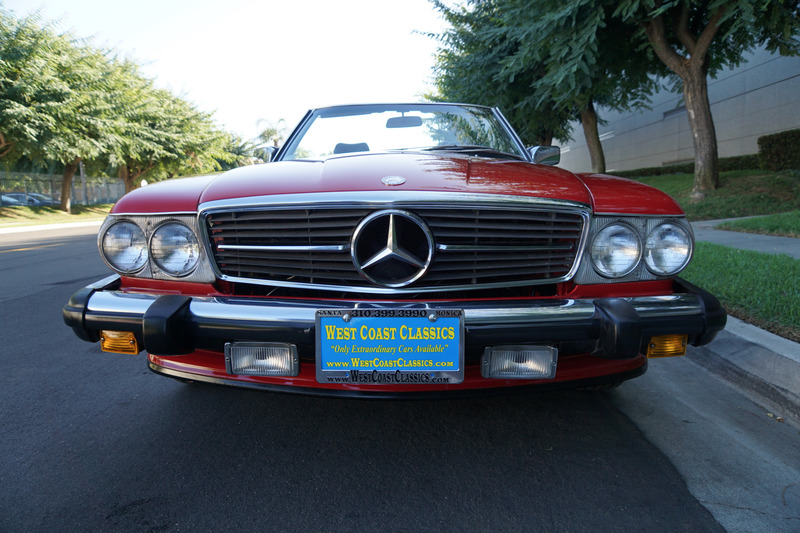 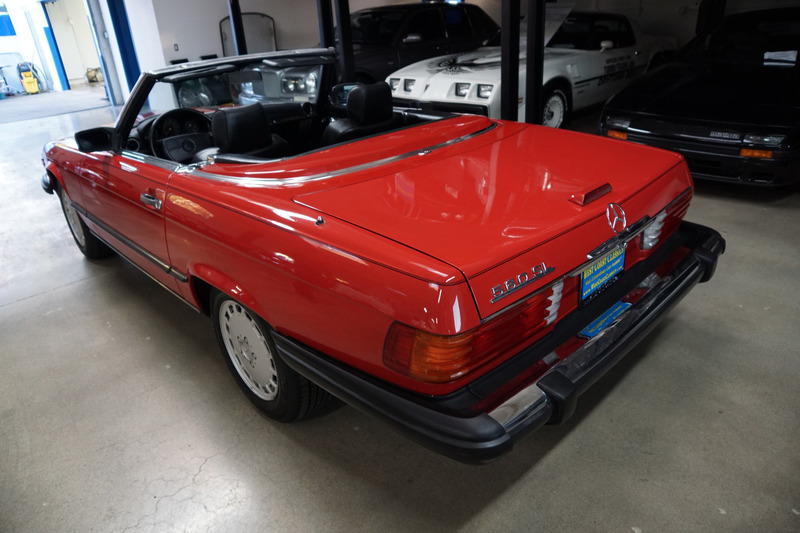 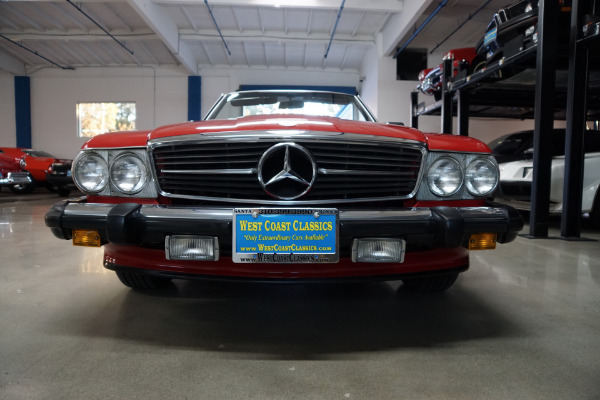 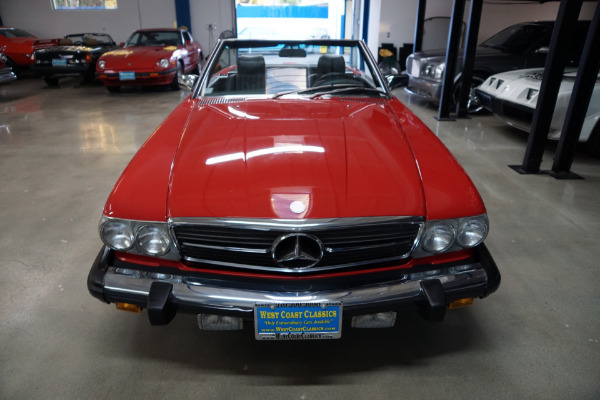 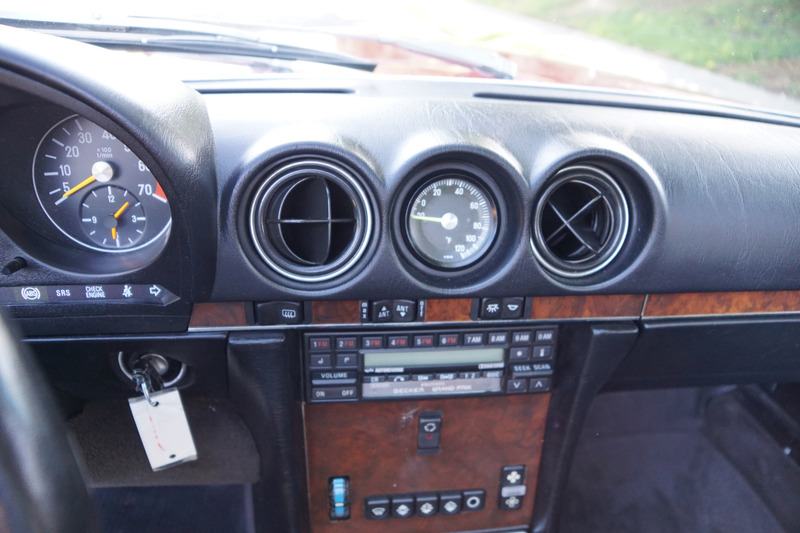 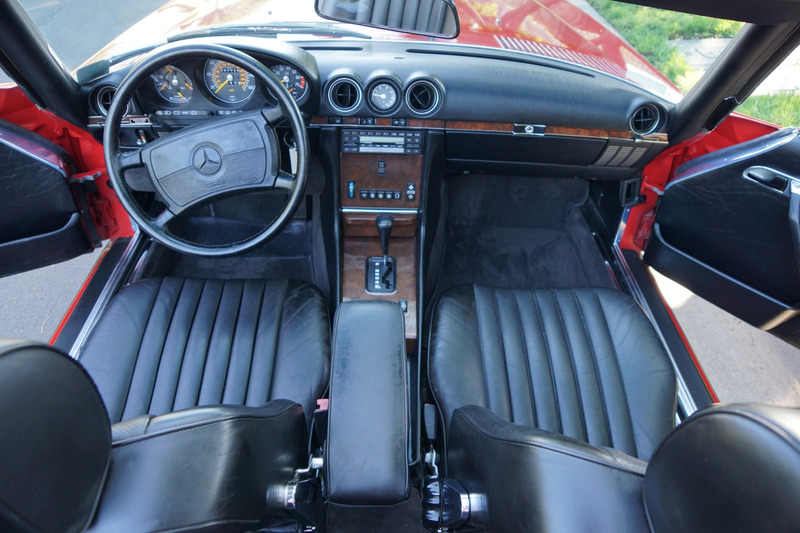 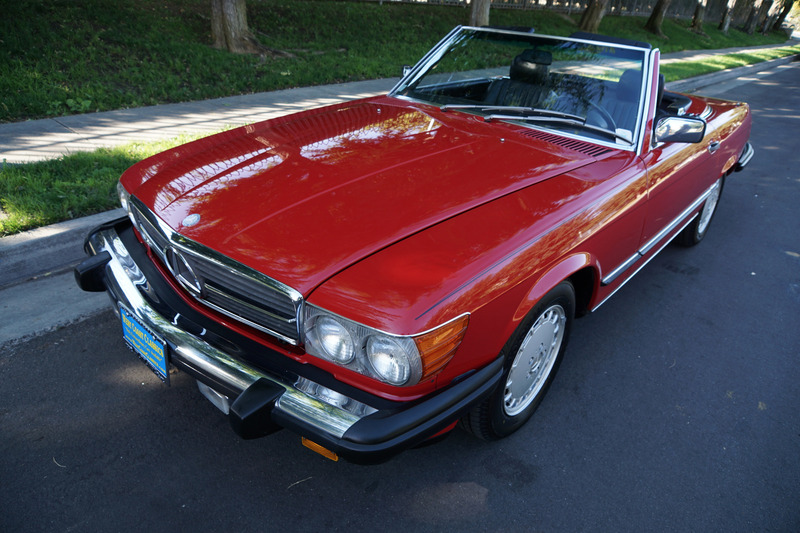 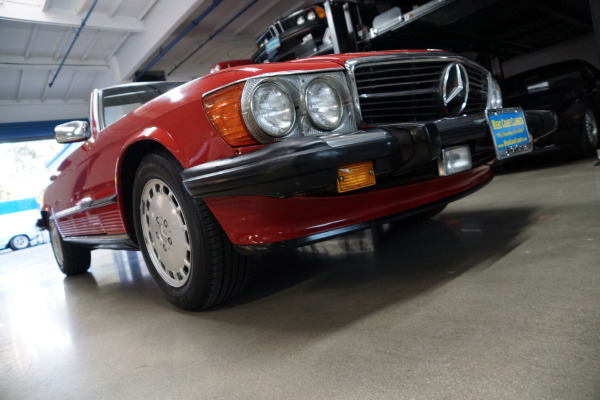 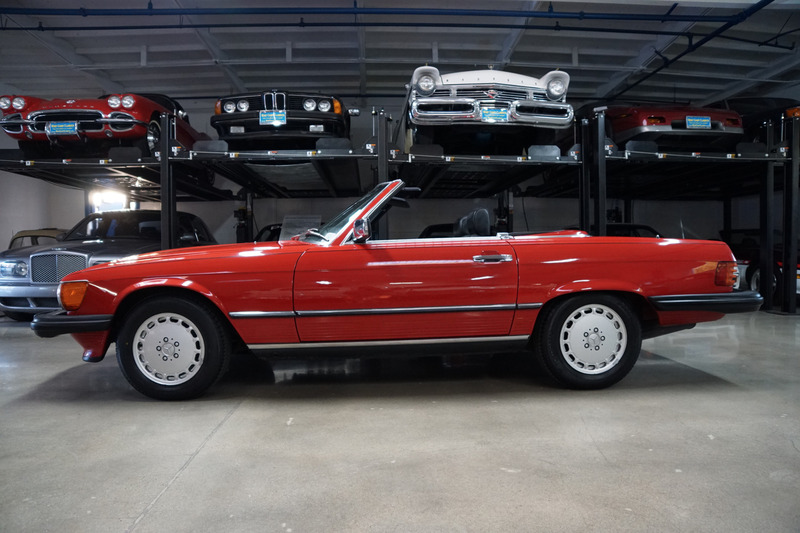 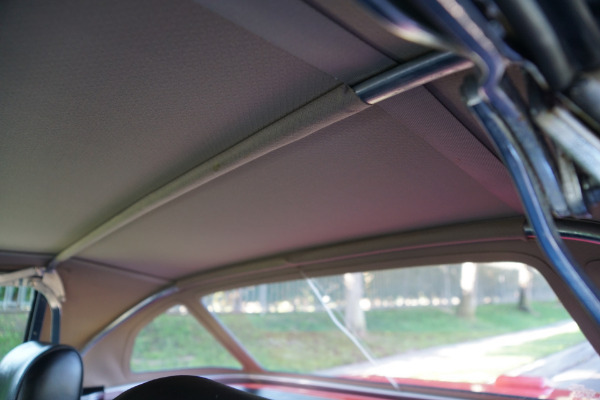 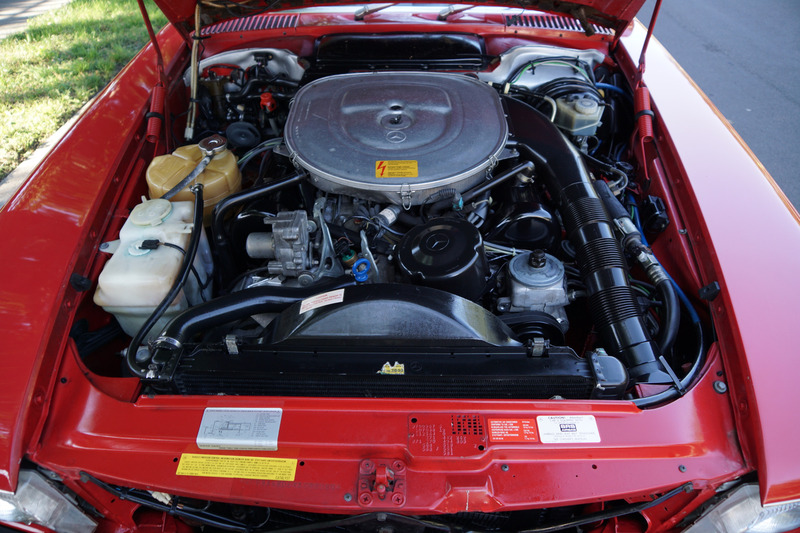 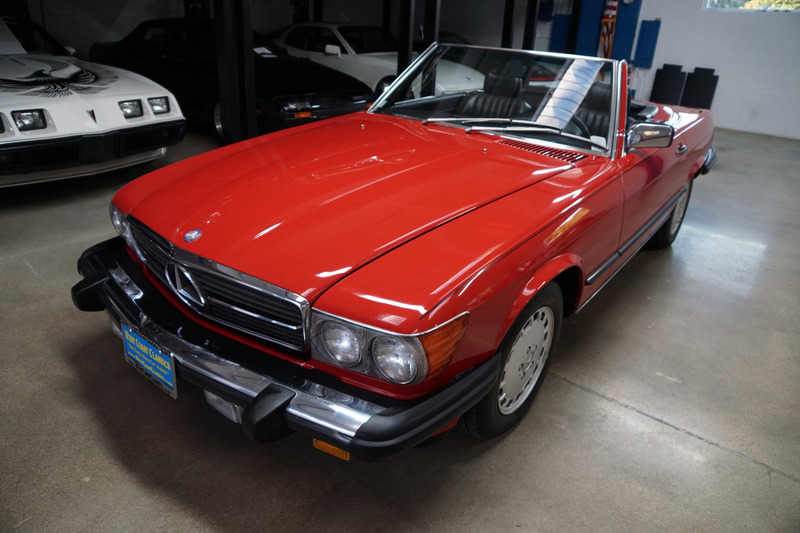 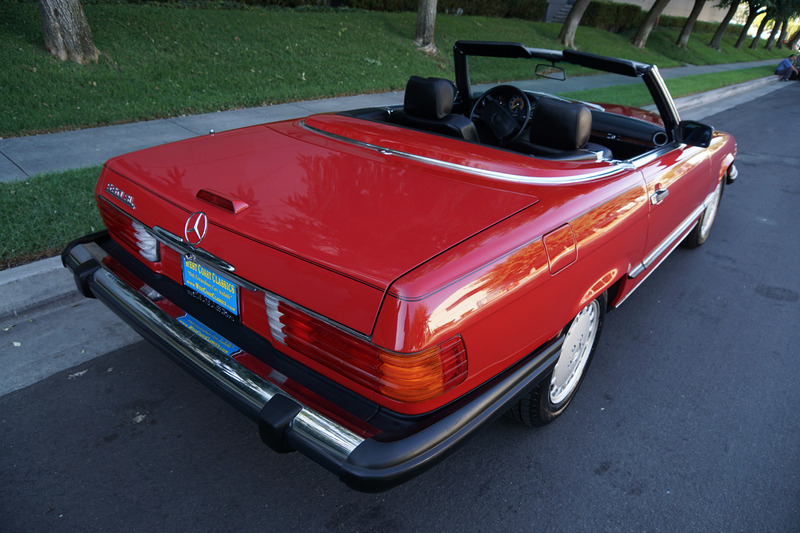 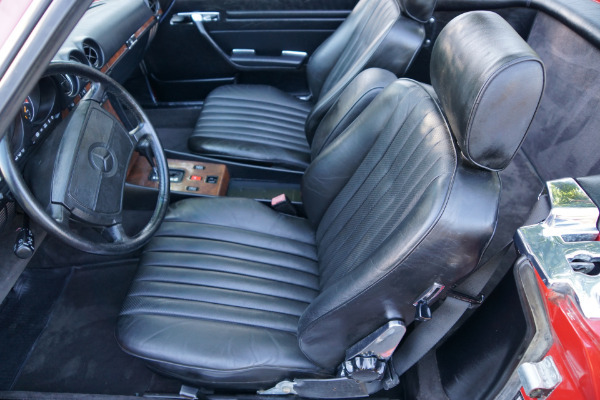 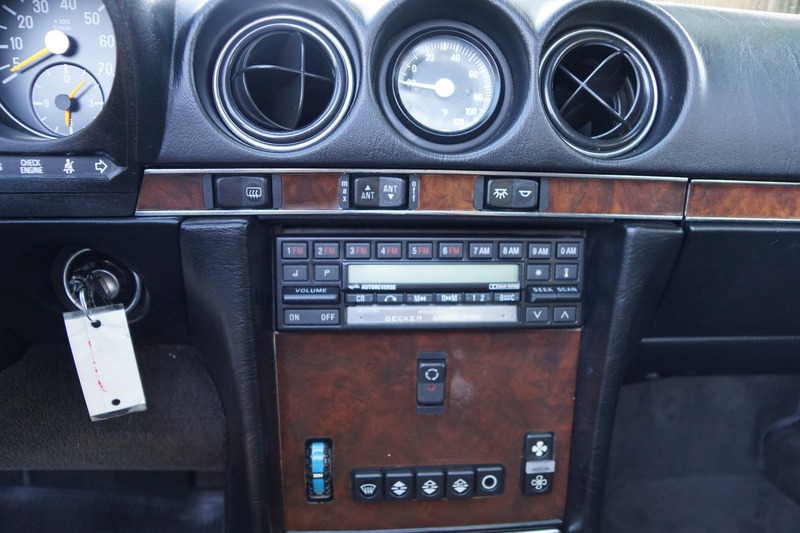 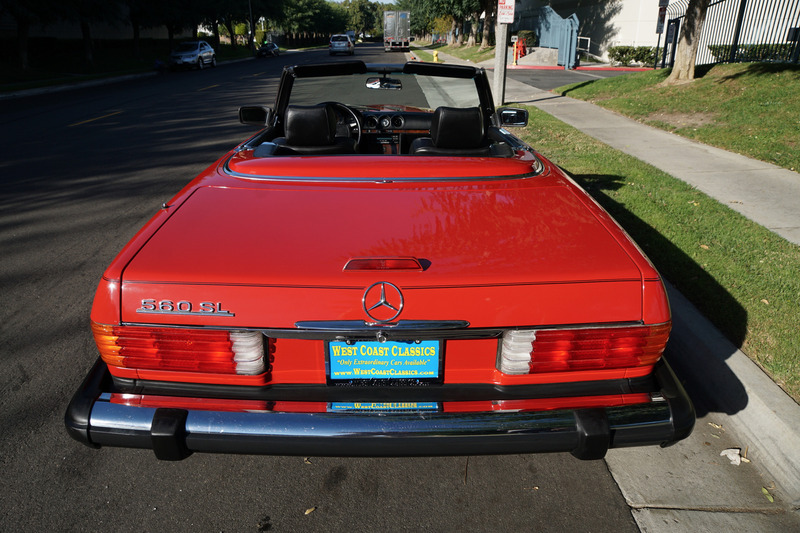 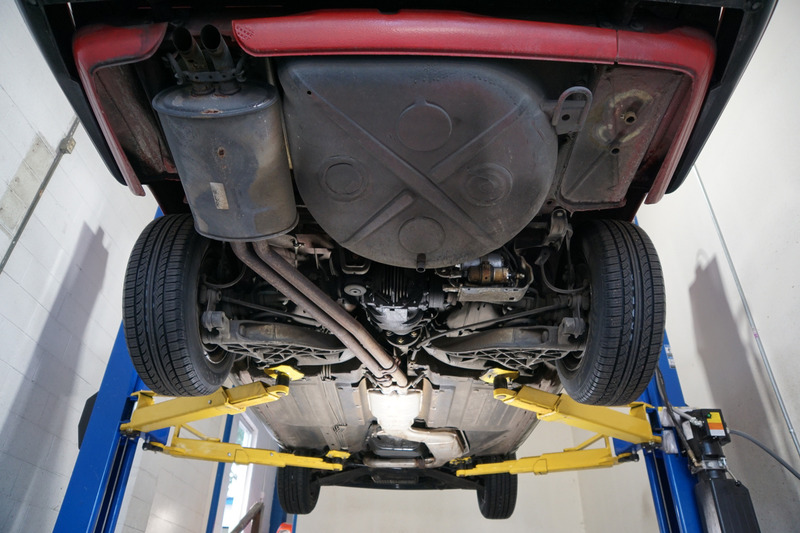 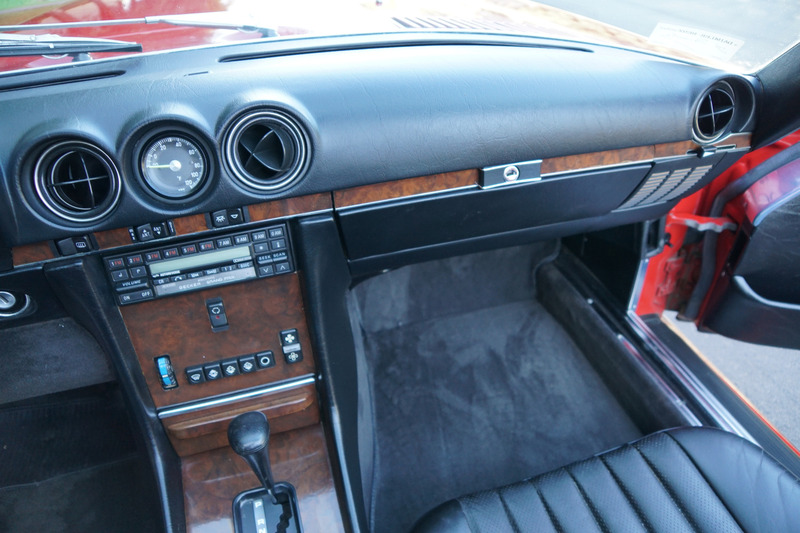 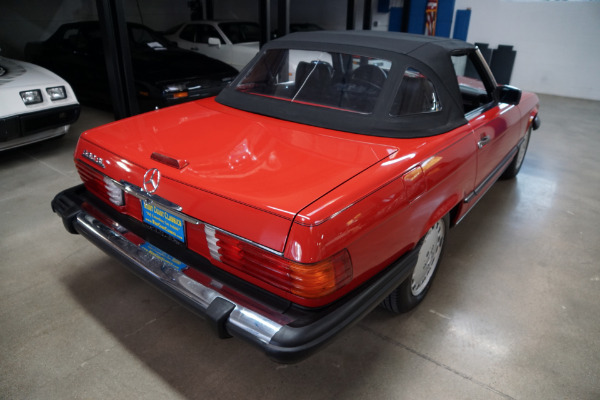 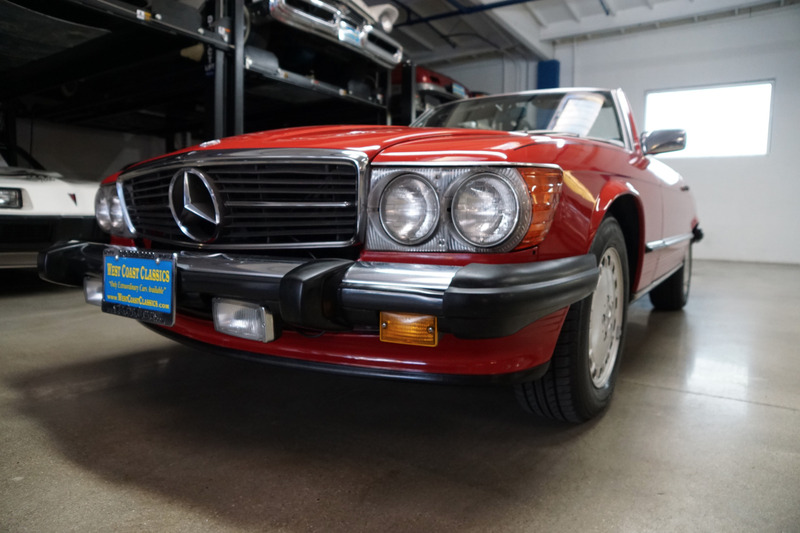 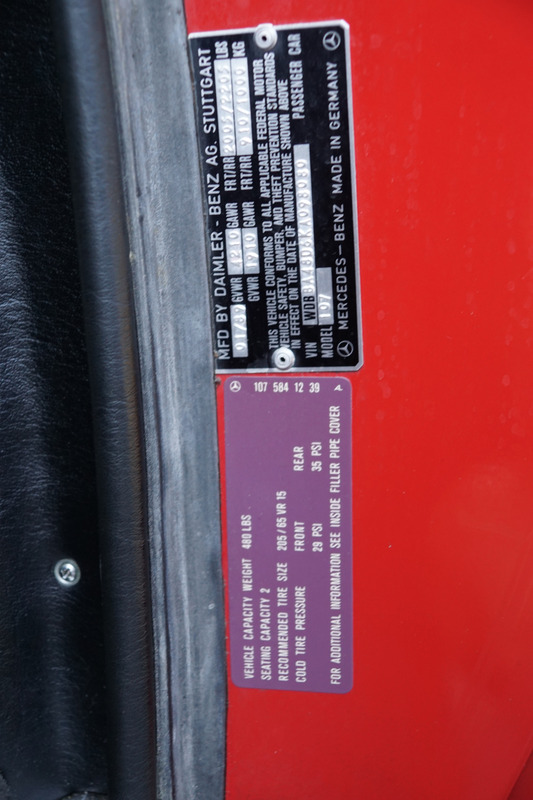 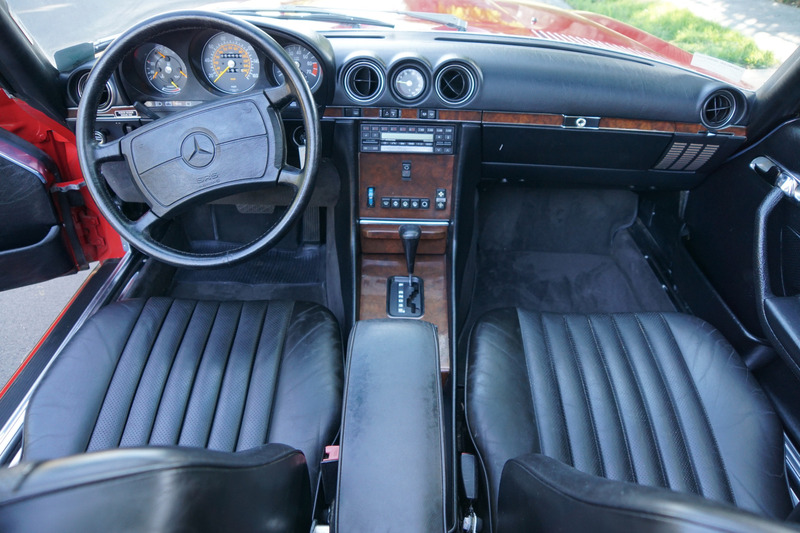 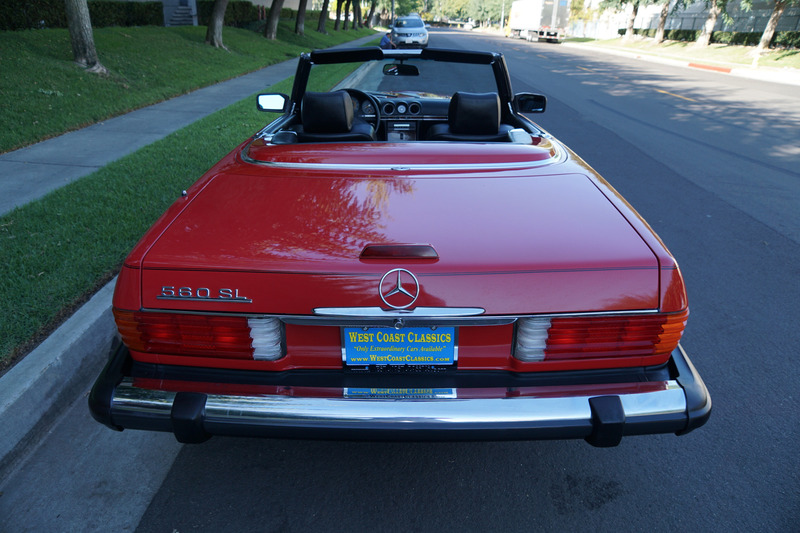 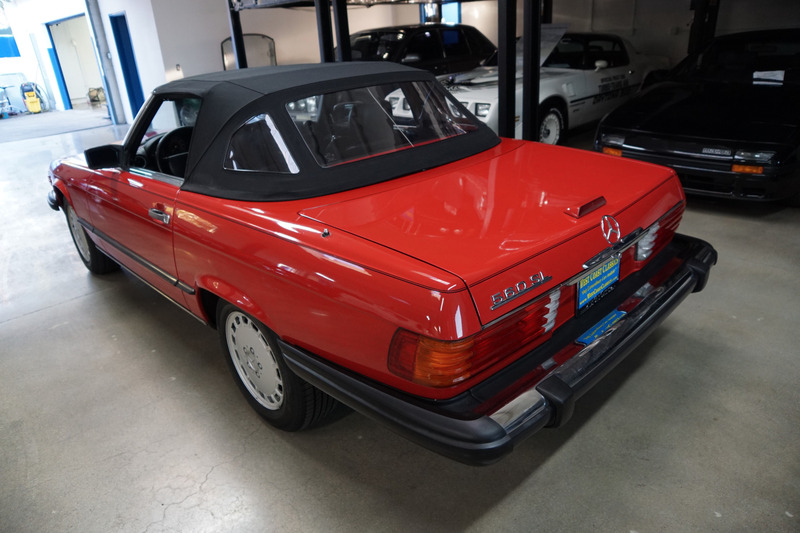 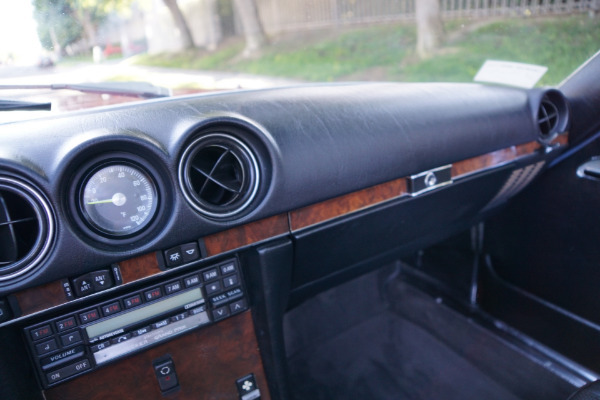 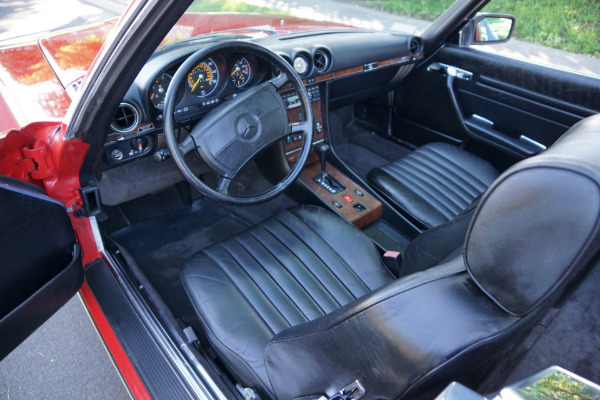 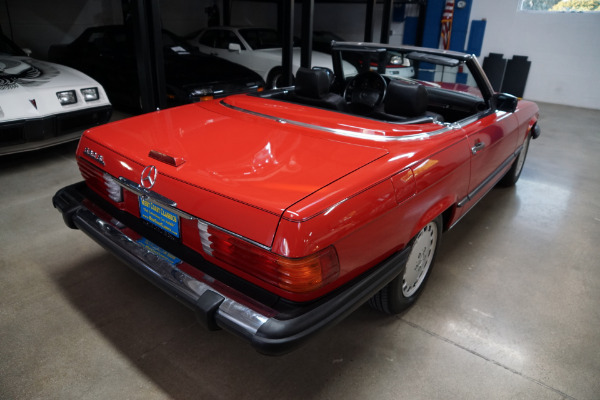 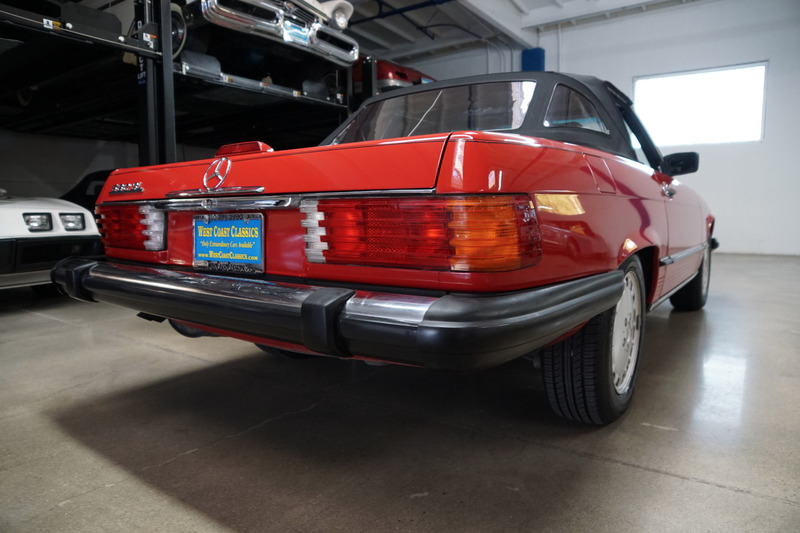 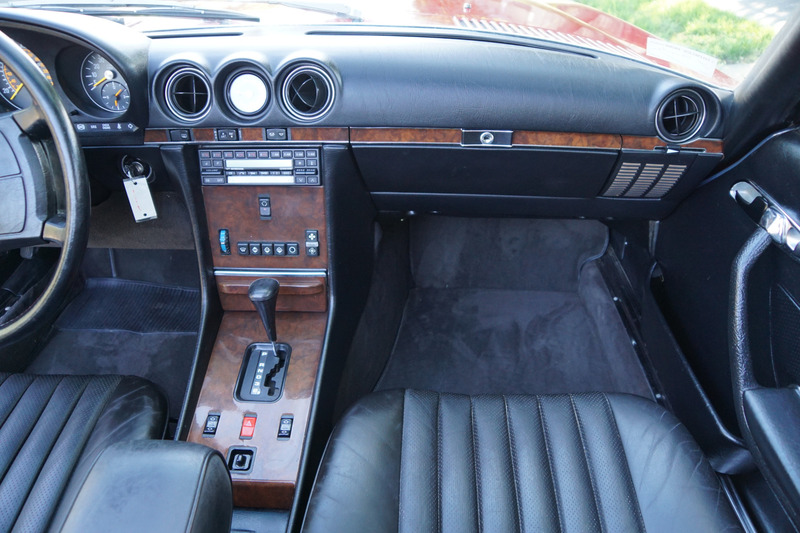 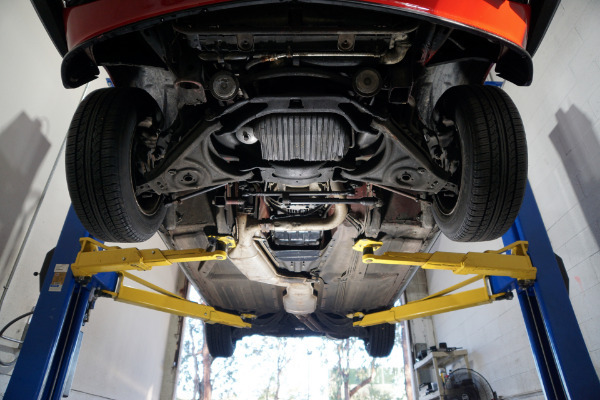 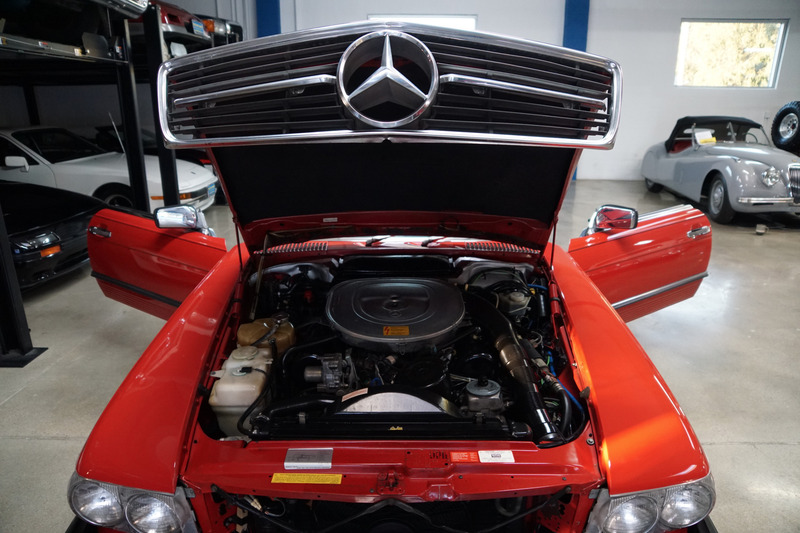 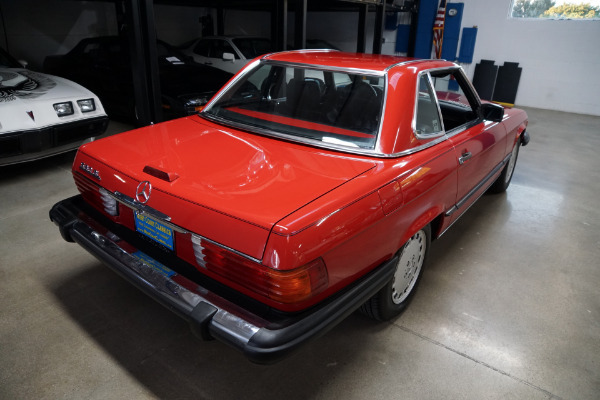 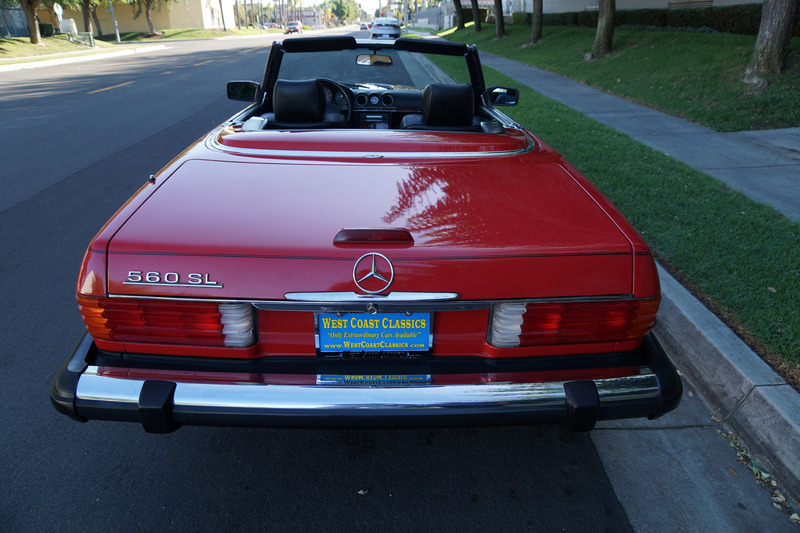 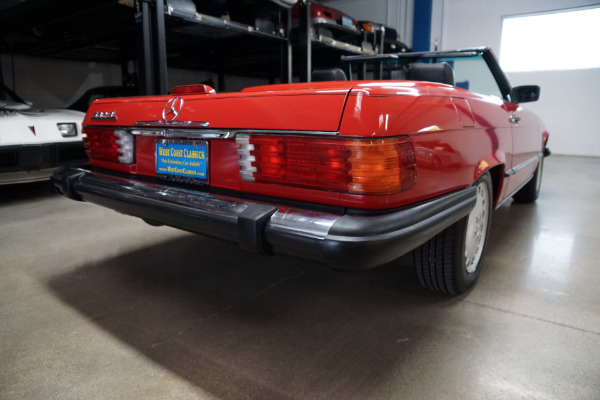 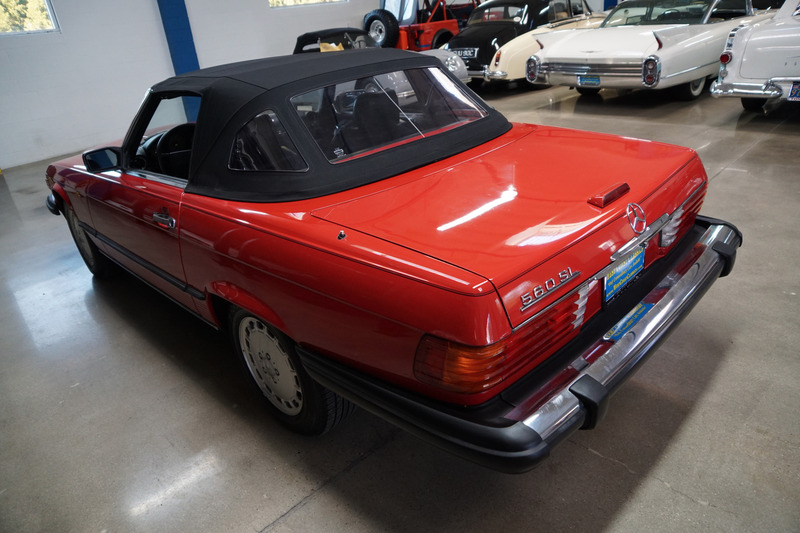 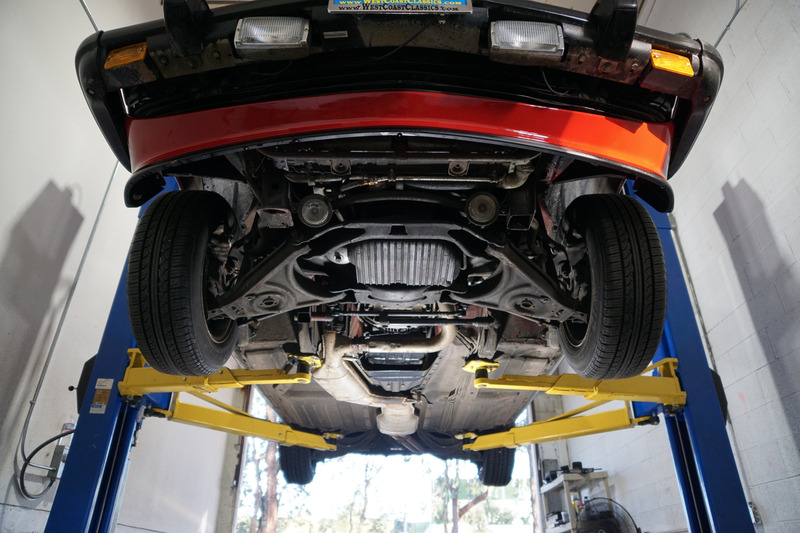 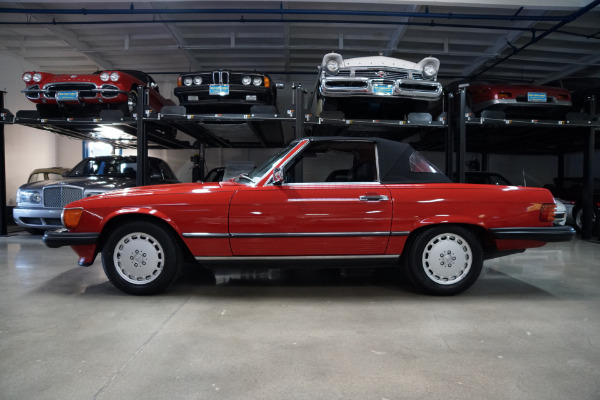 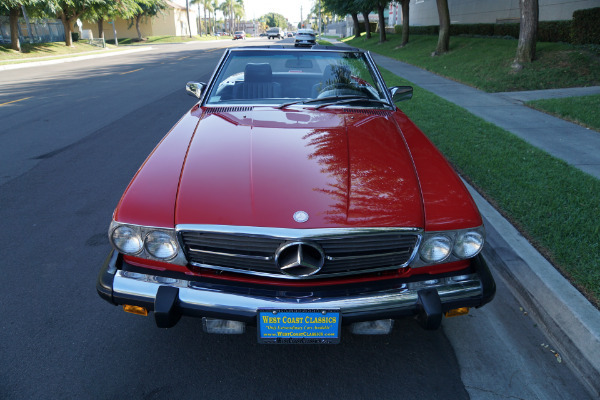 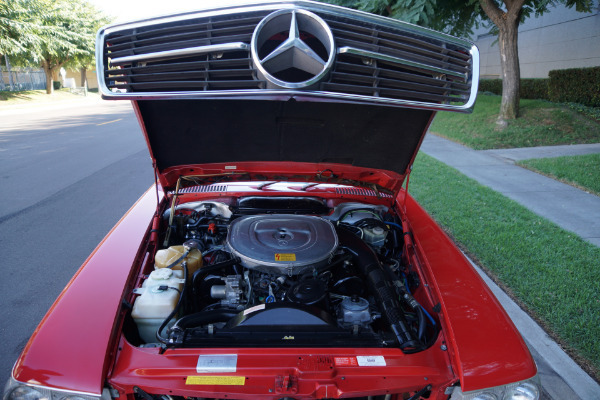 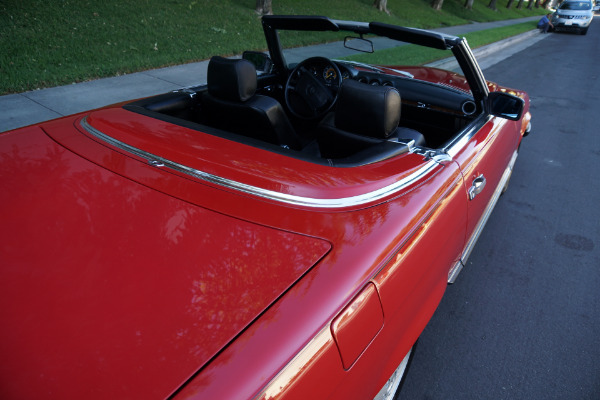 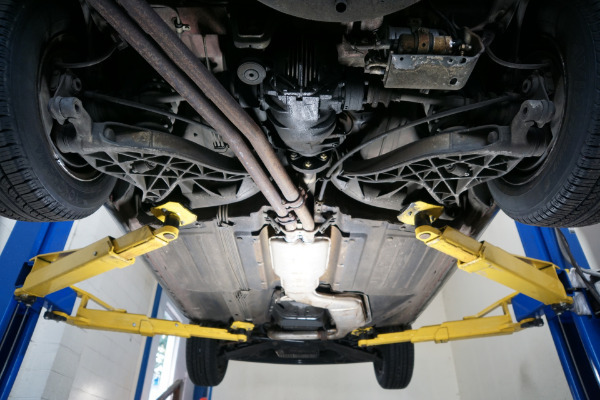 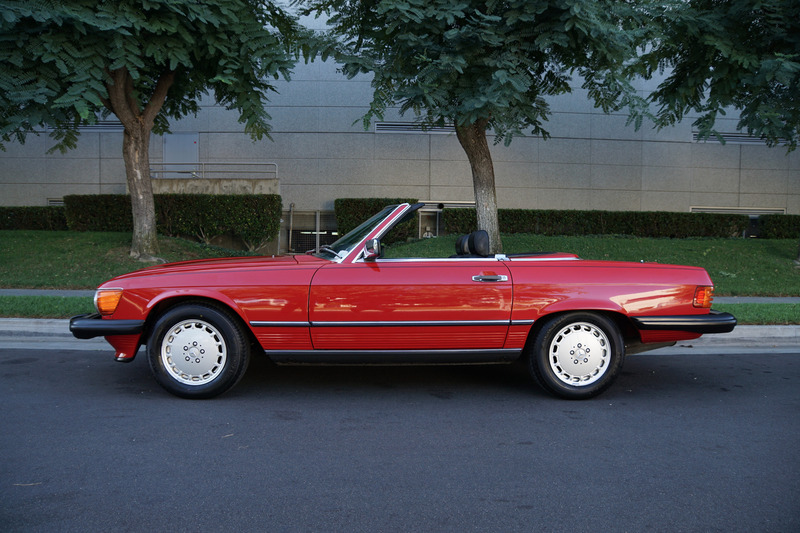 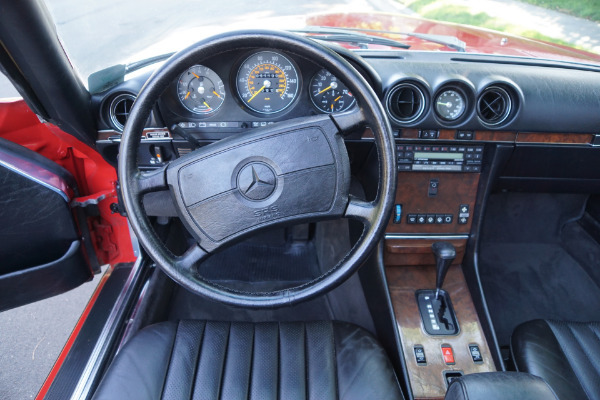 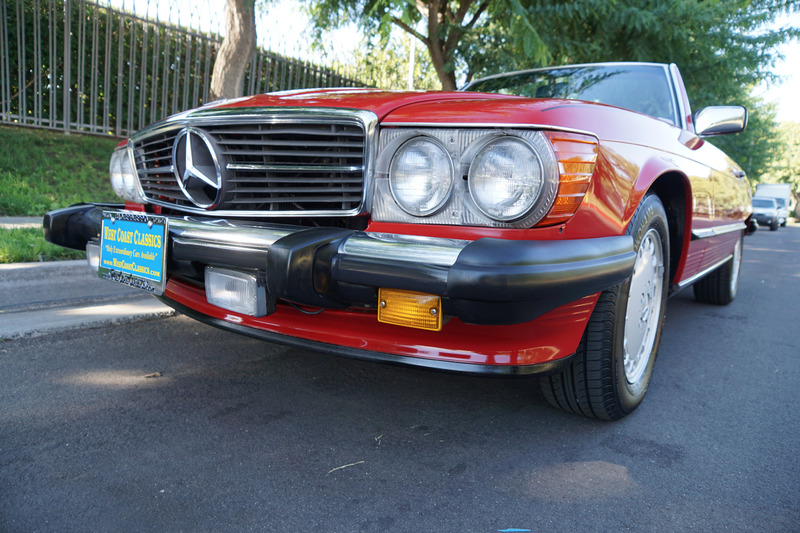 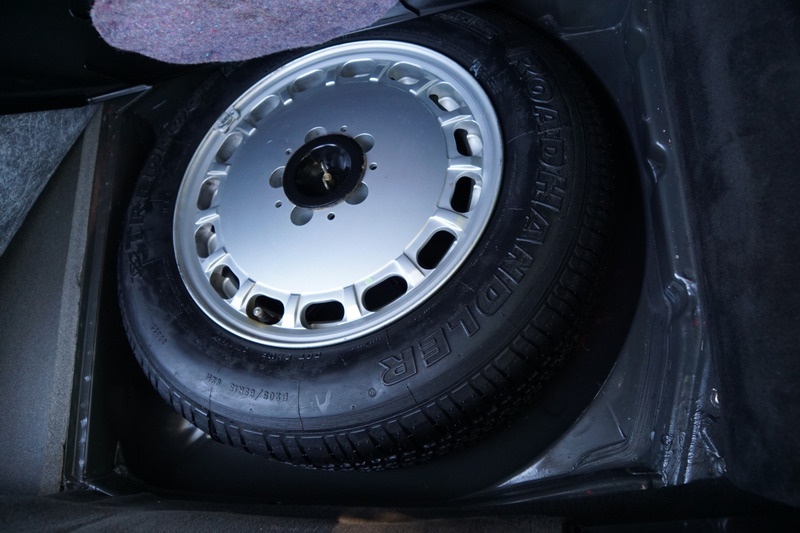 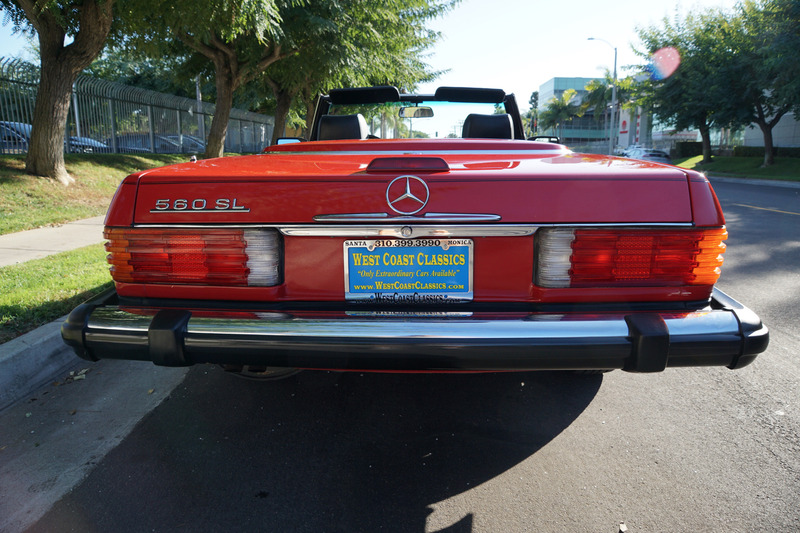 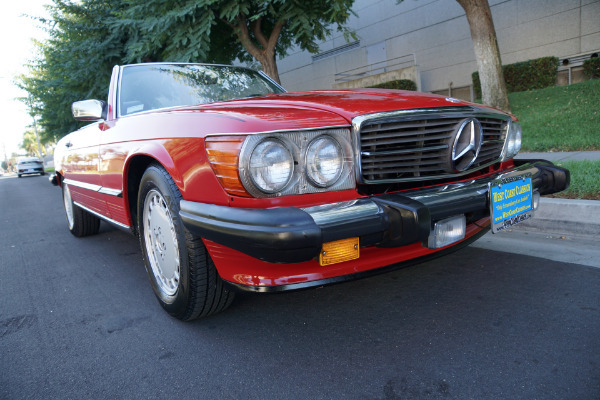 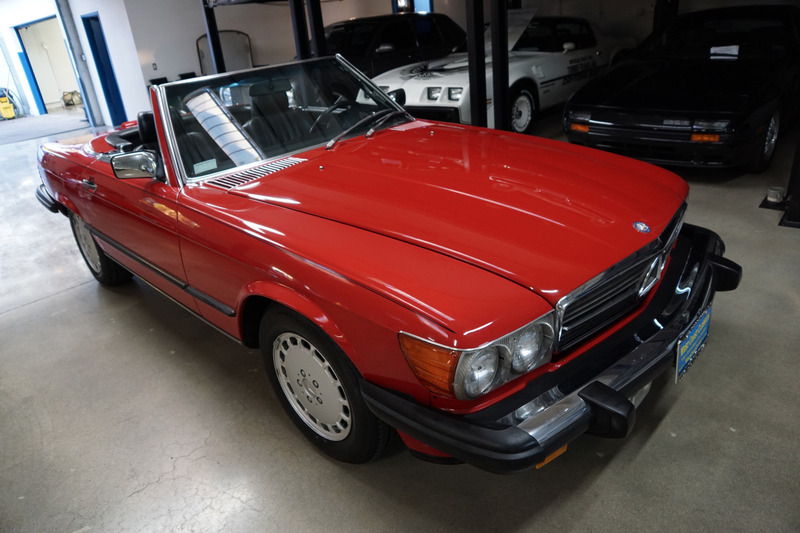 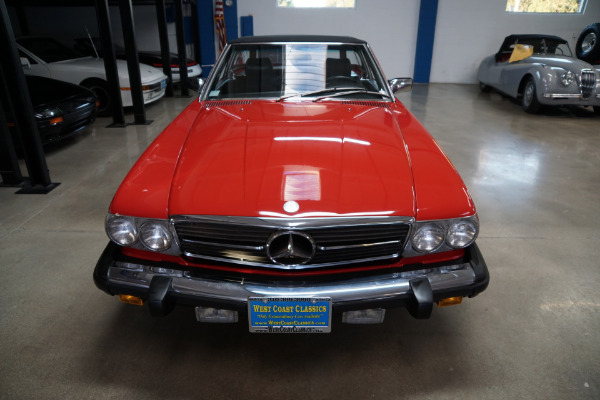 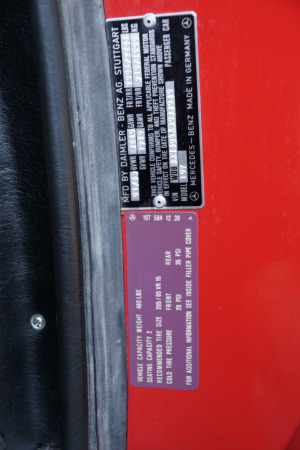 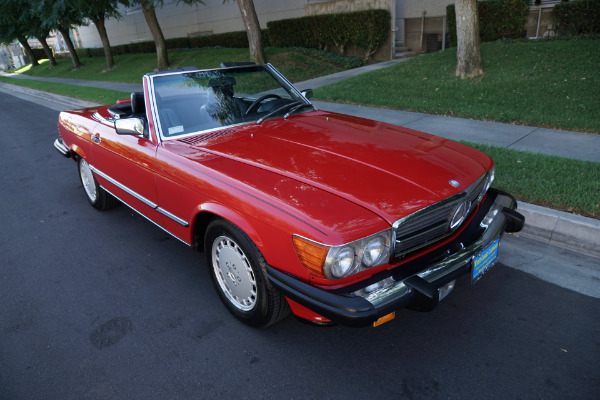 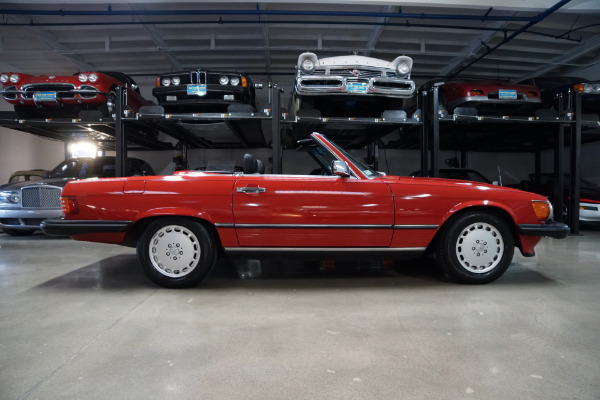 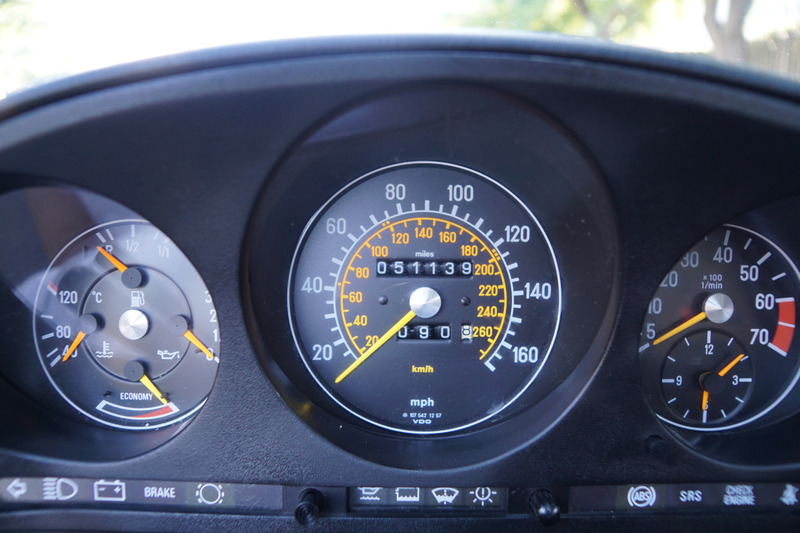 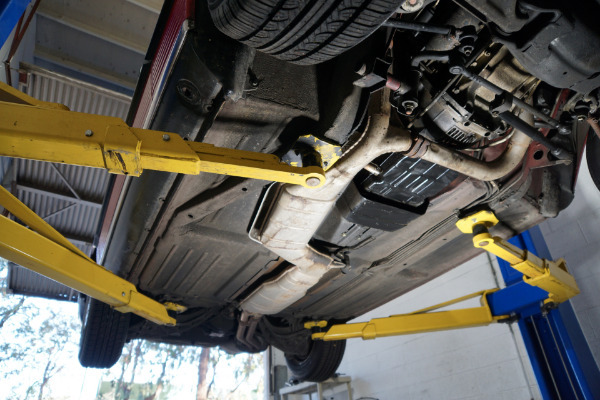 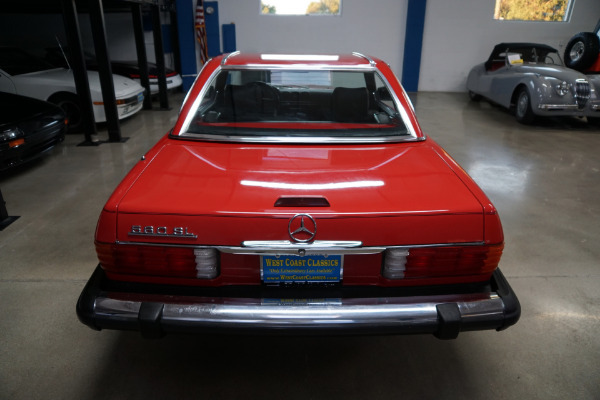 The car drives exactly like such a well maintained and serviced Mercedes with only 51K original miles should and must be seen and driven to be truly appreciated! 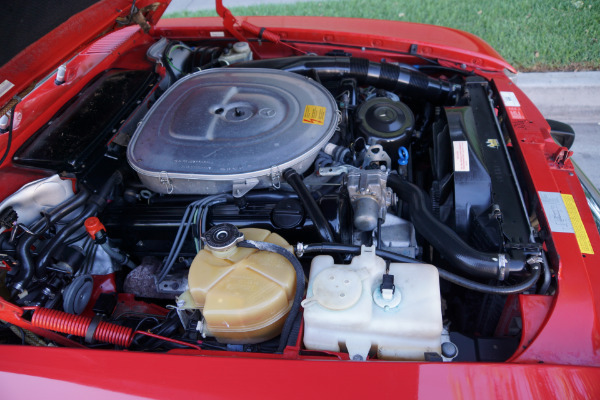 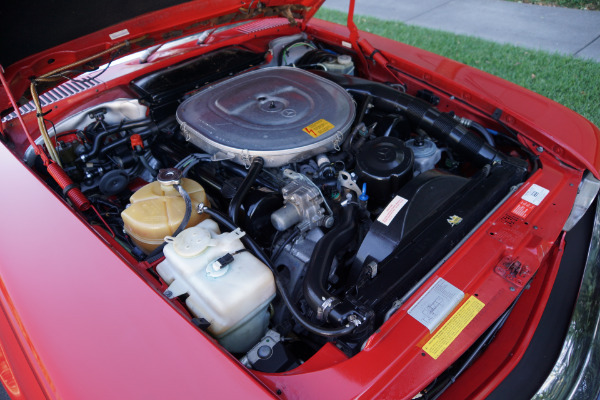 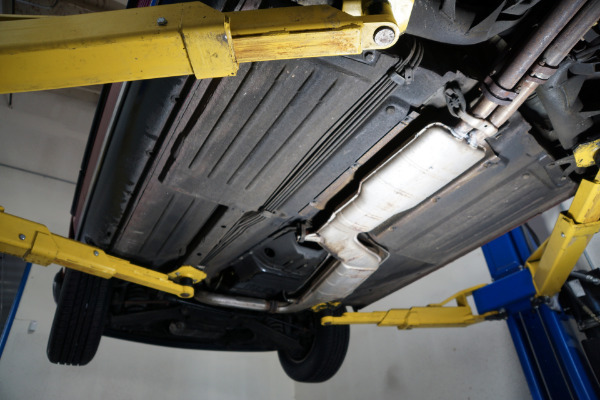 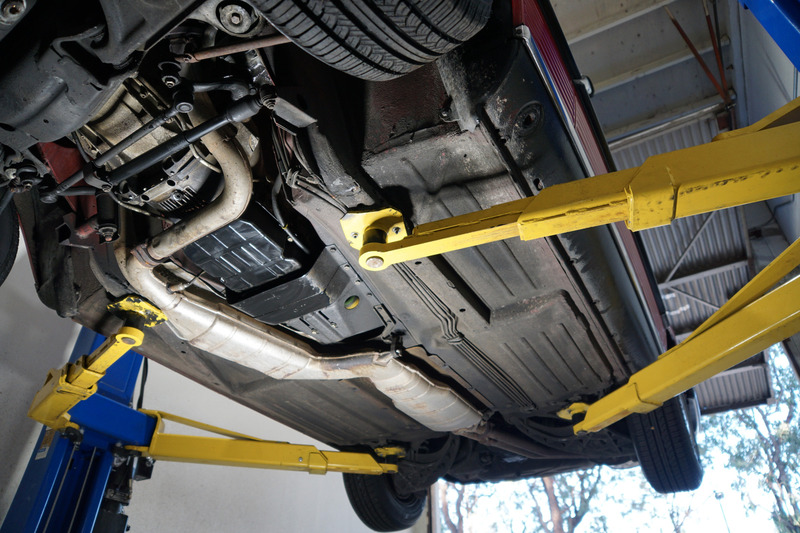 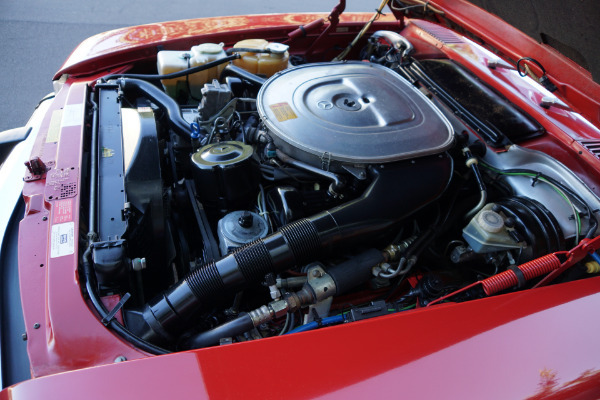 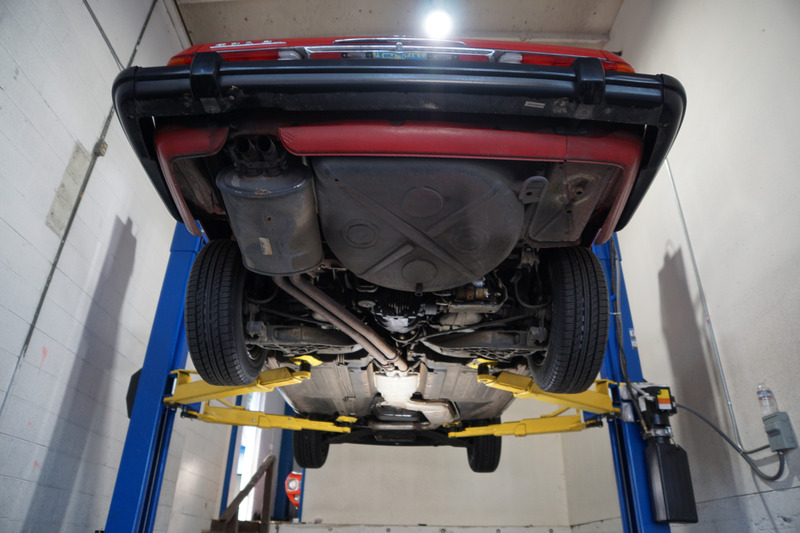 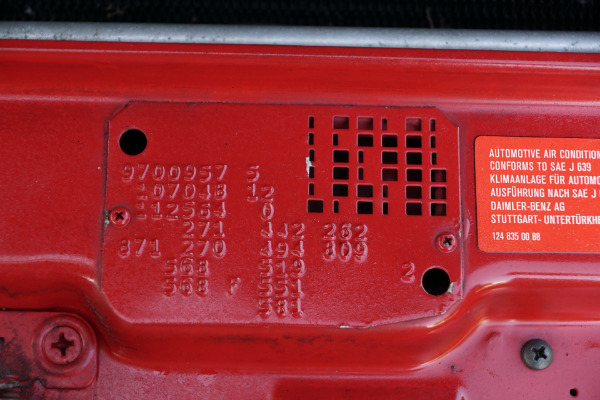 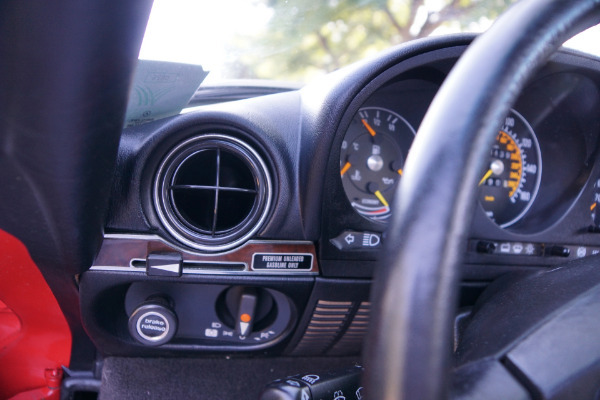 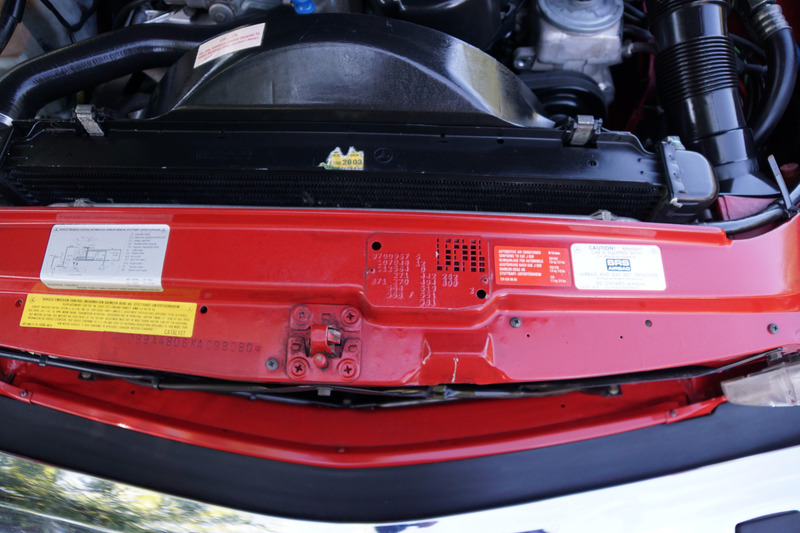 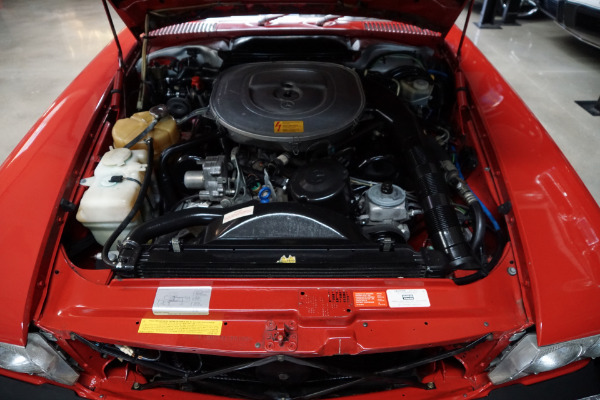 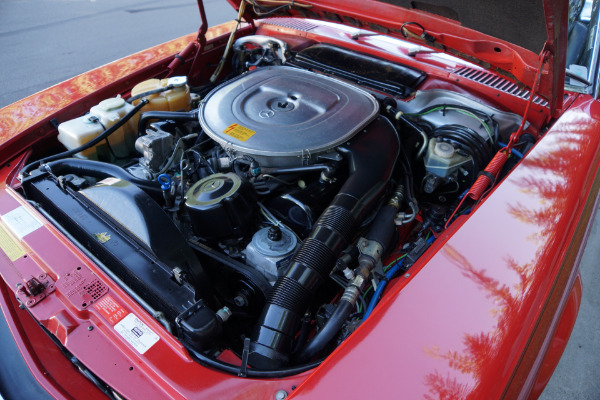 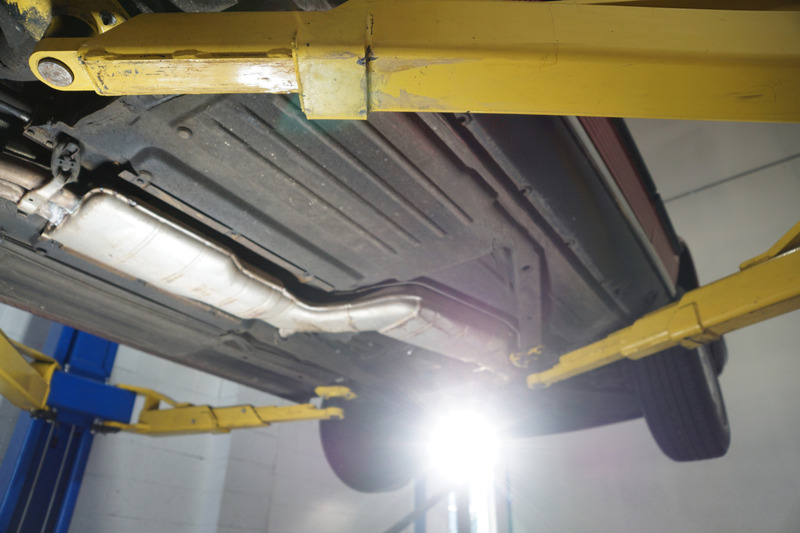 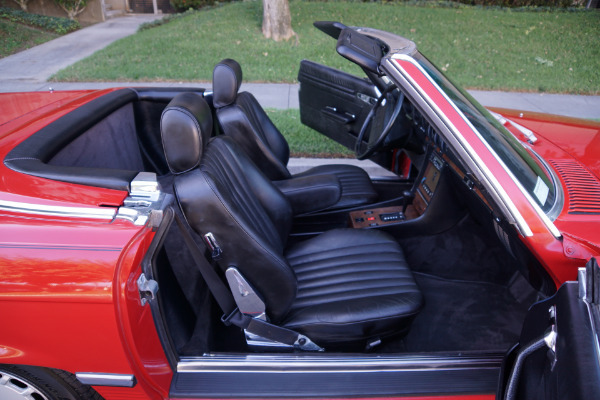 The engine is extremely strong with no oil leaks and the temperature always remains cool. 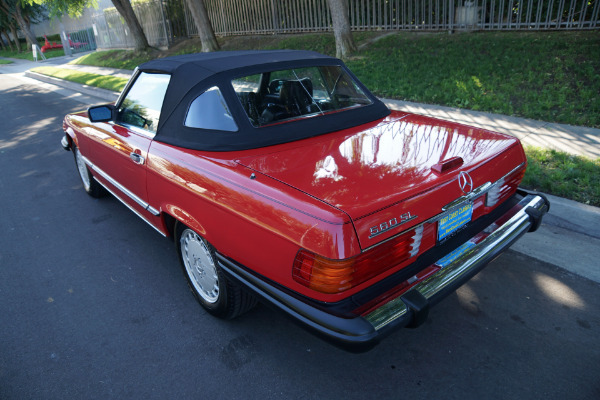 Without a doubt, this is one of the finest classically beautiful roadster designs built by Mercedes-Benz, probably the last classically beautiful convertible series they built and now becoming more desirable and collectible than ever before - certainly you will look long and hard to find a finer head-turning example of this last and therefore most desirable year model in this most striking and desirable of color combinations with a rare 'Black' leather interior available anywhere else!